View photo of drone strike site here. 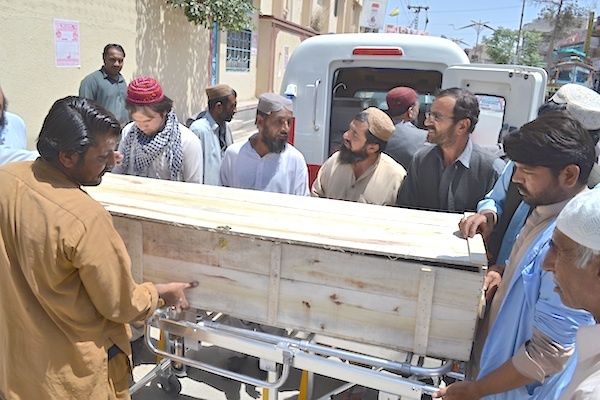 The police filed a case on behalf of the Azam's family, police official Abdul Wakil Mengal said. Pakistan objected to the U.S. drone strike, describing it as a violation of its sovereignty. On Sunday Pakistan's interior ministry announced that a DNA test confirmed that Mansour had been killed in the U.S. drone attack. American and Afghan officials had already confirmed Mansour's death, but Islamabad had declined to do so before the DNA test results.